ARVADA, CO – The phrase “intentional community” can bring to mind hippie communes of the 196s and 70s, or groups of nuns or monks milking cows in rural settings, or Quaker meeting houses. But suburban Coloradans have a new definition of intentional community. 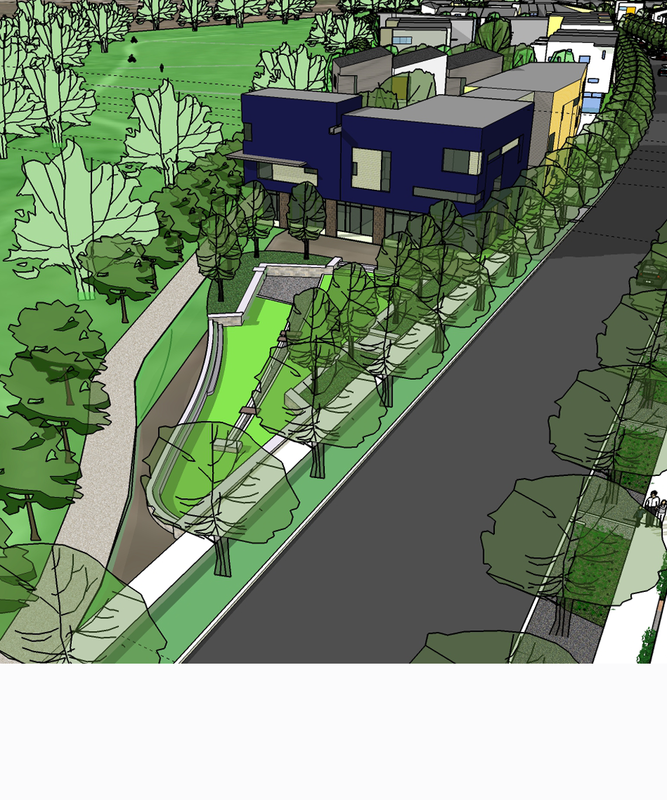 They’re calling it “co-housing” and it’s coming to Arvada. Small living units surrounding common space shared by community members is the dream of “The Ralston Creek CoHousers,” a group of like-minded acquaintances who are partnering with Arvada developer Geos to create The Gatehouse intentional community. So far, seven families have committed, according to cohousing.org. They are looking for another six households willing to invest about $300 per square foot (or $300K for a 1,000-sq. ft. unit). Investors also must commit to paying a portion of upkeep of common areas (similar to a condo-assessment). The Gatehouse would include 20 units including 2-bedrooms and studios in a three-story mixed-use building with parking below and a “common house” featuring a pro-style kitchen, meeting rooms, guest bedrooms and bike storage. A shared outdoor dog-friendly courtyard is also planned. The residents plan an open space organic community garden and fruit trees. The plan is to roll out the community in 2020. Geos is working on a grand scheme to create 250 energy net-zero homes in Arvada near the 15100 block of West 69th Avenue, with green technology and solar and geothermal heating systems. So far, they have built eight units. “What sets us apart is instead of moving somewhere and then trying to find your community, we are forming the community first and then designing and building our building,” founding member Carl Burg told Colorado Community Media. If you want to find out more about The Gatehouse, investors will host a slide show Saturday, July 14 at the Arvada Public Library between 11 a.m. – 1 p.m. at 7525 W 57th Avenue. Call Deb Kneale at (303) 467-9549 for more information.